Forecasting wine trends is something of a fool's game, with predictions likely to be thrown off by any number of factors. One virtual certainty however is that British wine drinkers will continue to be increasingly adventurous – thanks to the very human desire to try something different, if only to be able to boast about it afterwards. And those best set to benefit are countries in Europe's near abroad, the Balkans and Levant (the eastern Mediterranean), which people have already become familiar with from vacations and city breaks. Interest has been rising in Bulgaria, Romania and Moldova where improved cultivation, production and bottling techniques have spearheaded big improvements in quality, ending years of communist-era neglect. But most attention is being focused on Greece, Turkey, Croatia and Lebanon. Not because wine production is increasing– except for Turkey, where a fast-growing middle class is driving demand from very low small base, it has actually been falling – but because quality and know-how are rising fast, and prices can be attractive. Indeed, a combination of generous EU grants for producers in Greece and Croatia, flying winemakers bringing new skills and an increasingly widespread desire to make quality wines utilizing indigenous grapes, are transforming these wine industries. “There is growing interest because people are increasingly more like to have visited the countries from which the wines come, but because they are attractive, often made with interesting indigenous grapes you cannot find elsewhere, by producers eager to boost exports,” says Sebastian Payne MW at the Wine Society. Payne says the wines have strong appeal to the on-trade because they tend to be food friendly and “have a point of difference”: people out for an evening are more inclined to try something out of ordinary, especially if it makes a good talking point. It has hardly been plain sailing for winemakers. The Greeks have been buffeted by the economic crisis, which has killed much of the domestic market. Croatia has a high cost-base which makes its wines relatively expensive. Turkey has a Islamist government which is hostile to alcohol and has raised duties dramatically. Lebanon remains ravaged by fighting, with the Bekaa Valley – where much of its wine comes from – largely controlled by Hizbollah; the presence of Daesh (Isis) in the eastern mountains, adjacent to the war in Syria, is a new worry. White: Assyrtiko (originally from Santorini, Greece's signature white grape and can produce wonderfully balanced wines with freshness and acidity; Moschofilero (originally from the Peloponnese, produces rich, almost velvety whites), Roditis (used for retsina but can also produce high quality, crisp wines). Red: Xinomavro (Greece's most serious grape, from northern Greece, which translates as “sour black”); Agiorgitiko (the so-called St George grape, from the south Peloponnese, makes robust full-on wines). Those of a certain age who associate Greek wine with Demestica (“Kills all known germs dead”) and over-resinated barely drinkable retsina will be pleasantly surprised by today's increasingly sophisticated industry. Europe's oldest wine producing country has undergone a major shift in approach to wine-making, with traditional larger producers – like Boutari and Tsantali – struggling to keep up; there are now over 700 wineries here, working with around 300 grape varieties, with many using organic, sustainable or bio-dynamic techniques. Greece has gone big on native varieties, particularly amongst white wines which make up 70% of production. It isn't afraid to maximise the benefits of Greece's mountainous terrain, which Payne says give “acidity and finesse.” Prepare for a range of distinct but highly appealing wines made from the likes of Chidiriotiko (red), Gaiadoria, Katsano, Kydonitsa, Debina and Malagousia (all white) and sometimes also labelling that is only in Greek: these are authentic wines, after all. For lovers of red the two regions to look out for are Nemea in the Peloponnese and Naoussa in the north, whilst those who love white are increasingly spoiled for choice, although Santorini wines, made in that island's unique volcanic soil, remain highly prized. A glance at her substantial list shows how far Greek wine has come, with reds and whites from just about every corner of this far flung country. Some varieties – Black Daphne with its dark, intense fruit and powerful nose or the light, wonderfully citric Kydonitsa, which dates back to the Byzantine era– are very unusual and all the better for it. “Extensive use of indigenous grapes and the fact quality just keeps getting better makes this a very special time for Greece,” she says. Red: Plavac Mali, a cross between Dobricic and Zinfandel, which originated in Dalmatia and Teran (Istria). For Mark Roberts, the decision to set up Croatian Fine Wines (www.croatianfinewines.com) a few years ago was a no-brainer. “I was tasting these delicious wines on holiday but when I came home I could find nobody who was selling them” he says. Little wonder: some 90% of Croatia's wine is drunk domestically, by locals and tourists, whilst their relatively high price-point and small boutique nature have discouraged importers concerned mainly with the bottom line. Roberts says this is a pity. “Although producers make great wines using international varieties, the real point of difference is in the indigenous grape varieties. The quality of these wines, due to terroir, winemaker skill and the varieties used, give a strong USP,” he says. The distinctiveness of its four main producing regions Istria (which produces accessible, easier drinking wines), the Croatian Danube/Slavonia (more mineral, medium body), the cooler Zagreb region (lightest of all) and Dalmatia and the Islands (the fullest bodied: this is the home of Plavac Mali, Croatia's signature grape, producing full-bodied reds with strengths of up to 16.7%) is another reason to discover Croatian wine. The wines produced by Vinarja Dingac in Dalmatia – including the lighter Plavac and the premium Dingac – bear serious comparison with wines made by high end Italian producers and have a wonderful richness and depth alongside their regional expressiveness. Roberts says Croatian wine is expensive in part because local demand is high – little other wine is sold here (although with Croatia's accession to the EU in 2013 this may star to change). However scale and the focus on quality also plays a part. “Many producers are small – say vineyards of less than 50 acres, production is labour intensive, and they only use real corks and expensive bottles,” he says. Croatia's economy has been one of Europe's more depressed: last year saw the first GDP growth since 2008. Against this backdrop, producers' may recognize boosting exports is the way to go, so we may yet see more Croatian wine on UK shelves. White: Narince (which means delicate) from the Black Sea, producing Turkey's most consistent white wines, Emir from Cappadocia creating young, almost green wines; Sultaniye, from the Aegean and makes dry, fresh wines. Red: Kalecik Karasi (Turkey's Pinot Noir); Bŏgazkere (“throat-grabber”, testimony to its strong tannins: Turkey's Tannat); Öküzgözü (“Ox eyes”) produces smooth, rich-bodied wines, from central Anatolia. Perhaps the most surprising thing about last October's Wines of Turkey tasting in London was that it was the first such event to be held in the UK. Turkish wine has an almost non-existent profile here unlike in say, Germany where the large Turkish community have restaurants and food shops to boost awareness. Yet if the responses of tasters last year is anything to go by, Turkish wine has a great future here, with enthusiasm boosted by unfamiliarity. “Like Greece, Turkish winemakers have really transformed their industry in recent years. Many of them are young and keen to learn, and are also eager to boost sales abroad,” says Sebastian Payne MW. Sarah Abbot MW echoes this, adding that she is surprised that more retailers – aside from M&S and the Wine Society, which have been listing Turkish wine for some years – haven't gotten in on the act, particularly as prices are good now with the devalued Lira. “The focus on exports is really driving quality and pushing innovation; there has never been a better time to discover Turkish wine,” she says. For those who like their wine to have a story, this is a country you can explore through its wines. Want to savor Turkey's wild far east? Try Bŏgazkere, which hails from Diyabakir in the Kurdish south-east. A wine made on the former battlefields of Gallipoli? Try a Merlot made by Gali. A wine made from a variety that almost died out? Kalecik Karasi is it. Wine production, which used to be concentrated in the Aegean region near Izmir and in Anatolia just outside Ankara, is now happening in places which haven't seen production for decades, including Antalya where Chardonnay does well. At the high end, Urla (imported by Armit) makes some of Turkey's best wines including mid range Vourla (a blend of Bŏgazkere, Merlot, Cab Sav and Syrah) and the higher end Nexus (Nero d'Avola, Merlot and Cab Franc) and Tempus (Merlot, Cab Sav, Cab Franc, Syrah and Petit Verdot) but there is lots to explore at all price points. The problem is getting them; specialist importers exist, but so far none which do full justice to Turkey's modern wine offering. Mainly international varieties, with reds dominating. Cinsault, Carignan, Grenache, Syrah and Cabernet are used by in varying quantities, usually in blends. Lebanese wines need no introduction to British wine drinkers thanks to the enduring popularity of Serge Hochar's Chateau Musar, which has graced up-scale grocery and wine retailer's shelves for many years now. Its younger siblings, Hochar and Musar Jeune have also attracted a following. However despite tensions which continue to make wine-making a somewhat hazardous business – production has dropped by around half over the past decade to around nine illion bottles – quality in Lebanon continues to improve, although ten producers make almost all the wine. Chateau Ksara is the oldest and largest producer but Chateau Kefraya, Domaines des Tourelles and Clos St Thomas are also names to watch for, as is new boy on the block, Ixsir. “Winemakers are realizing that Lebanon’s USP should be around grapes such as the indigenous white Obeideh and Merweh and “adopted” reds such as Cinsault, Carignan and Grenache, that offer a more interesting expression of our formidable terroir,” says Michael Karam, author of several books on Lebanese wine. He says whites have come a long way, with Chardonnay, Viognier, Sauvignon Blanc, Muscat, Semillon and Obeideh grown at altitudes of up to 1800 metres; the result is wines with a complexity and freshness that one would not expect from such a hot country. “With wines at prices starting around £10 a bottle and quality improving all the time, you get a lot of bang for your buck here,” he says. Has there ever been a better time to drink wine? The drink is better, more diverse and more accessible than ever before. Countries with little viticultural tradition – India, China, England, even Malta - now produce world class wines, aided by flying-winemakers, global warming and rising demand from more sophisticated consumers. Much the same is happening in regions that were once also-rans. Many are experimenting with indigenous grape varieties and exciting new styles. Moving from west to east, welcome the New Wave. Paso Robles, midway between LA and San Francisco on California's Central Coast, has produced wine for decades but aside from some classy zinfandels, the focus was on what Californians call jug-wine. But winemakers have woken up to the potential of the diverse terroir and are experimenting with varieties, techniques and styles in a cheerful, anything goes approach. “Whilst Santa Barbara’s climate and soils have proven ideal for Burgundian varieties, Paso Robles is ideal for both Bordeaux and Rhône varieties. There are not many places in the world that offer such variety within such a short distance.” Aside from J.Lohr, look out for: Rhone specialists Tablas Creek, Burgundy specialists L'Aventure, experimentalists Villa San Juliette and Zinfandel specialists Peachy Canyon. On the east coast, though its wines are frustratingly hard to find here, Virginia is also undergoing a revolution. This was where US wine began: attempts were made to grow vines by the first settlers at Jamestown in 1609 and at Monticello by third President, Thomas Jefferson. Then things slowed dramatically. Until now. From just a handful of mom and pop wineries, the state has become the fifth largest producing state, with more than 260, including the Trump winery, owned by the mouthy presidential hopeful and. Wineries are small scale – aside from Trump's, which focuses on sparking wines and blends and Barboursville, owned by Italy's Zonin, which focuses on Italian varietals, and the mid range Williamsburg winery – and style tends to be more European than west Coast regions. “We have entered an exciting phase where winemakers are in tune with the land and conditions, have focused on what works well and are collaborating to the benefit of all,” says Chris Parker of New Horizon Wines, the chief UK importer for Virginia Wines. Virginia's signature grape is Viognier, which Parker says tends towards a “refined style, with good balance of intensity of flavor, acidity and texture,”. Cabernet Franc, Petit Verdot and Petit Manseng also do well. Look out for Breaux, Boxwood and Veritas wines. Not many years ago, mention of Canadian wine would either invite mirth or association with the country's prized ice-wine. That has changed with some 250 quality producers now in British Columbia and around 150 in Ontario. Whilst the former makes good Rhone and Burgundy varietals in the warm Okanagan Valley, British consumer focus has been on Ontario. “There has been an enormous jump in quality over the past 15 years,” says Norm Hardie whose eponymous winery makes wines from sites across southern Ontario. Hardie has a Burgundy-focus, making Chardonnays and Pinot Noir, but with a range of styles: the Wine Society lists two of his Chardonnays. Wines from Ontario are fresh and approachable but often fuller bodied than you might expect. Look out also for Southbrook Vineyards and Domaine Quelyus, based in the Niagara Peninsular. Across the Atlantic, once an also ran amongst Portugal's wine regions, Barraida was once a bulk wine region, selling to Portugal's colonies, and dominated by coops. It has made huge strides, largely on the back of a single, once largely derided grape. Baga is one of those tricky varieties, tannic and tough but wonderful when properly handled and made into either sparkling wine or silky dark reds. Luis Pato and his eponymous winery deserve the credit for rescuing the grape from virtual extinction; today he and his daughter Filipa, at her own eponymous winery, make a range of wines from the grape, as do a number of other small producers. Whites, made from Bical and Maria Gomes, have been improving too, with the latter making rounded wines very different, for example, from Vinho Verdes made just to the north. Next door, Bierzo is the latest in a long list of regions bought back from the dead in Spain over the past 20 years (including Ribera de Duero, Priorat and Toro). Alvaro Palacios, the architect of Priorat's renaissance, does remarkable things with Mencia (Portugal's Jaen) that belies its fruity, medium-weight reputation: those grown by him and the other 50 or so producers here utilize the slate slopes of this north-west region to produce wines of great depth and complexity. Over the border, in eastern France, Jura is also awakening. Like Alsace, it is distinct. Not so much geographically – Burgundy is but an hour away from Arbois, the capital – but because it puts the varieties (white Savagnin, red Trousseau and Poulsard) onto its wine labels. British consumers are familiar with sparkling Cremant – Aldi sell a good example at £7.29 – which makes up more than a quarter of output. More interesting are the excellent, silky and rounded Chardonnay/Savagnin blends that typify the region's whites, the light, dark berry Pinot Noirish appeal of red Trousseau and the sherry type aroma of Jura's speciality, Vin Jaune. Moving east, Germany's Baden region is the converse of what German wine is usually about; no riesling (Pinot Gris or Grauburgunder is king), and the Spatburgunder (Pinot Noir) made here is often barrel-fermented, showing deep, full-bodied flavours that reflect Baden's volcanic soil. The Kaiserstuhl is Baden's heart and although co-ops still produce 80% of wine, individual producers are increasingly making their mark, taking over single vineyards previously deemed uneconomic. “We have an artisan approach, often reviving old processes that are expensive but make a real difference, reinforcing the characteristics given by the volcanic soil,” says Arne Bercher, the tenth generation of this winemaking family at Weingut Bercher in Berkheim. Other producers to look out for include Karl H.Johner and Franz Keller. One of the hottest regions right now is in Italy's deep south, specifically the slopes of Mount Etna in Sicily, despite its reputation as Europe's most active volcano. Not many years ago these silky and complex wines rarely strayed beyond the island, appreciated mainly by those holidaying in nearby Taormina, despite the fact wine has been grown here for millennia. Today the astonishingly varied wines – with Rosso made from Nerello Mascalese and Nerello Cappucio, Bianco generally from Caricante – are all the rage, and little wonder. The inconsistency of the volcanic soil means that two wines from here rarely taste the same; the difference reflects not just winemaker skill but precise vineyard location, with those made on the sea-facing side of the mountain quite different from those looking inland. However reds tend to be lighter than you might expect, more Burgundy than southern Rhone, whilst whites have a chameleon quality depending on whether they are aged or not. Sicily's best known producer Planeta now makes wine here, at a new winery in Feudo di Mezzo. Other names to look out for include Passopisciaro, Graci and Tenuta della Terre Nere. Further east, Thrace offers huge diversity because this ancient region today straddles three countries: Greece, Bulgaria and Turkey. Individual producers are struggling hard against the odds (which in Turkey include onerous new government regulations) to revive a region renowned in classical times for its wines. The first two are focused on making mainly distinctive red wines with indigenous varieties; xinomavro, often dubbed Greece's nebbiolo, produces complex, tannic wines, whilst mavrud in Bulgaria tends towards a heftier, full-bodied style. Turkey has taken a third route focused mainly on international varietals. All are worth seeking out, if only to compare how one region can produce three such distinct types of wine. A few years ago, Elgin/Walker Bay had an almost invisible profile in South Africa, certainly compared to much better known Stellenbosch, Franschhoek or Paarl. Walker Bay (Hemel-en-Aarde) was generally associated with two excellent producers, Hamilton Russell and Bouchard Finlayson, whilst Elgin was just emerging. Today, with the two neighbouring regions generally conflated, other producers have become prominent including Elgin's Paul Cluver and Walker Bay's Ataraxia. The region produces South Africa's best Pinot Noir, but white is more widespread, generally Chardonnay and Sauvignon Blanc, with wonderful minerality and a saline lightness, reflecting altitude and proximity to the sea. With consumers preferring lighter styles, this really is the South African region to watch. One of the unexpected bonuses of the break-up of former Yugoslavia is the vast and still ongoing improvement in the wines produced in its successor republics. With producers generally small or medium-sized – blame the complex land restitution process and relatively high land prices - family and boutique producers dominate. Many are focusing on local grape varieties – of which there are many – with single varietal wines dominating both white and red production. With UK consumers increasingly wanting wines beyond the mainstream, both on and off trade buyers are taking notice. To the south, Montenegro and Macedonia continue to focus on the tannic, polyphenol-packed Vranec grape, with the former's biggest producer Plantaze stressing its heart-healthy properties with a hearty full-bodied wine called Pro Cordem. Macedonia though has made more inroads into the UK market: its wineries sell into M&S and other supermarkets whilst a range of whites, roses and reds, including two Vranec from producer Stobi's (based in the Tikves region) are available through the on-trade and independents. Unsurprisingly however, most interest has been focused on Slovenia and Croatia. As one might expect from a region that was unified for centuries (before 1918 and Yugoslavia, this whole area, like Trieste and north-east Italy, was part of the Hapsburg Empire), there are a lot of commonalities, and not just in grape varieties. In both countries white wines dominate, around 70% of the total production, though pink, sparkling and sweet wines are becoming more common as producers attune to the international marketplace. Wines are quite expensive, reflecting high local demand, high prices and generally small production – however as producers wake up to their export potential, less expensive wines are coming through, with the Wine Society now selling a Slovenian and a Croatian white for less than £8 each (respectively, Benedict White 2015, a delicious four grape blend made by Benedictine Monks and Vina Laguna, a crisp, modern Malvasija Istrika). And more wines are becoming available to the on and off trade, with Bancroft Wines and Liberty Wines amongst those listing wines from Slovenia and Croatia. Both countries lay claim to Istria on their wine labels, which is geographically undeniable. 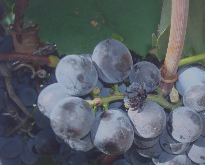 However there is bitter contention over Teran, the dark tannic grape used on both sides of the border (and in Italy) for which Slovenia won PDO status from the EU, having lodged its claim before Croatia became a member. As a result, Croatian producers should describe their wines as Refosk (refosco) a genetically similar but perhaps not quite identical grape. The dispute grumbles on. This is the Balkans after all. In tiny Slovenia, smaller producers rule in all three wine regions; Primorska (to the west, which includes the Istrian coast which produces the most trendy wines, but also Goriska Brda, which makes some great white Rebula (Ribolla) Pinot Grigio, Pinot Noir ); Podravje (home to the one ubiquitous Laski or Welsch Riesling but also Traminec, a dry version of Gewurztraminer and some other international varieties) and Posavje, the smallest region. Unsurprisingly, given the geography, many of Slovenia's wines share characteristics with those made just over the Italian border in Friuli-Venezia. Varieties include Pinot Grigio and Ribolla Gialla, and red Teran (Terano). A prime example of the accessible new premium style wines come from Marjan Simcic, based in Istria. His Pinot Grigio 2015 is crowd-pleasing but with a great deal more depth and character than most of the Pinot Grigio's made just over the border in Italy; his Ribolla 2014 is understated but with a strong sense of place, whilst his Pinot Noir 2013 is surprisingly luscious, full of dark berry fruit. All are very well made. “The wine-making skills are self-evident yet in small producing nations like this, the risk is of falling off the international radar. Our on-trade customers in particular love these wines, because of the heritage but also the great quality,” says James Wainscott, marketing coordinator at Bancroft Wines. Croatia is also having its moment in the sun. According to Craig Duggan of Croatian Fine Wines, UK demand was fuelled at first by Brits returning from Split or Dubrovnik or Istria, wanting the wines they enjoyed whilst on vacation. But now British importers and distributors are selling Croatian wine encouraged by the increase in quality, a greater variety of styles, interesting and tasty indigenous varieties and better wine-making techniques. “Last month I attended a wine fair in Istria and was stuck by the huge advances. Producers are learning from what they've seen abroad and in some cases their children are coming, armed with with new ideas and techniques, to apply to the business; meanwhile flying winemakers are adding Croatia to their itineraries,” he says. As in Slovenia, it is the native varieties that are most interesting, with white Malvazija Istarka and red Refosk dominant in the north (Istria); white Grasevina (Welschriesling) and Traminec in Slavonia, to the east; and white Posip and red Plavac Mali to the south, in Dalmatia, where the famous Dingac and Postup wines are produced. Veralda Wines are a good example of the new wave. Their Rose – made from local variety Refosk – is like summer in a glass, off-dry but full of bright red fruit, with plenty of structure and wonderful balance (£12.50, Croatian Fine Wines), whilst the red Refosk (£29) is a sophisticated and multi-layered wine that has won many international awards. Istria based Damjanic, from near Porec, are another good modern-style producer, whilst Matusko is more traditional, specialising in well-made food-friendly heavy reds. Although single varietals dominate, blends are making headway into the UK market. Respected Istrian producer Ivica Matosevic produces Grimalda white and red from his low yielding Brdo vineyard in central Istria, the former a 12 month aged blend of 50% Chardonnay, and 25% each SB and Malvasia Istria, the latter a 15 month-aged 85/15% blend of Merlot and Teran. (Bancroft Wines). Chris Wilson of HDN Wines which stock a range of Vina Kozlovic wines including several Malvazija, says they do well in the on-trade, particularly amongst high-end restaurants, and are very popular with sommeliers. “These are very well made, clean and modern wines by a small producer. They have become an integral and valued part of our portfolio – which given the quality, is unsurprising,” he says. Napa winemaker Daniel O'Donnell admits that when he first went out to Turkey's south-eastern Anatolia to inspect Turkish wine-producer Kayra's vineyards, he had no idea what to expect. “At first I was shocked because it was all so different. This is a place where Monsanto has never been heard of and where, when they want to prune, they send in the goats. Then I thought – actually, this could be fun. A lot of fun.” he says. Ten years down the line, O'Donnell – now chief winemaker for Kayra – is presiding over a vastly improved portfolio of wines, at entry, mid range and premium levels. He has stuck with the indigenous grape varieties that he thinks makes Turkish wine so unique – which in Kayra's case means white Narince (a light but fruity and rounded variety, not dissimilar to Chenin Blanc), Kelecik Karasi (from which he makes very appealing, fruit-forward light pink and red wines) and the two main red varieties from eastern Anatolia Öküzgözü (ox-eyes) and Boğazkere (a highly tannic variety which translates as “throat-grabber”), which he makes as blends and also as single varietal wines. UK consumers appear to agree. Once mainly of interest to the UK's Turkish expat community, distributed by specialist Turkish importers, Turkish wine is now the rage, thanks in part to the attraction of its grape varieties but also to the so-called Ottolengi effect, reflecting a wider interest in Levantine food, restaurants and indeed, culture. “We've had a huge response from the on-trade since we started stocking Kayra wines earlier this year – restaurants, sommeliers and consumers love them because they are so different,” says Chris Wilson, of HDN Wines. HDN are not the only mainstream company to start importing Turkish wine. Armit has been importing Can Ortobas' stylish Urla Wines for some years now, to great critical and customer acclaim. New Southwark-based specialist importer Sonvino offers KastroTireli (who make a crowd-pleasing Narince and Viognier blend amongst a range of Turkish and internatinal varietals), whilst indigenous grape specialist Red Squirrel has started importing Pasaeli. This relatively new (since 2000) Izmir-based producer makes delicious and highly unusual wines from varieties so rare that some are literally on the verge of extinction; under owner and winemaker Seyit Karagozoglu's careful vineyard management, red Karasakis (of which only 50 hectares remain) and red Papazkarasi (just 250 hectares) produce wines of rare complexity, and a wonderful sense of place. These are very difficult times for Turkey and its winemakers alike. Even before the recent government clampdown following July's botched coup, winemakers faced high and rising taxes, increasing regulation and an almost total ban on advertising: it is impossible even to access a wine producers' website from within Turkey and drinkers face strong official disapproval. Many winemakers freely admit they are scared for the future. Yet the quality, vitality and scope of their wines has never been higher. With increasing numbers of both on and off trade companies now looking to stock Turkish wines, British consumers now have a better chance to discover this for themselves.